Every year, the MD/DC/VA chapter of the Church of Latter Day Saints shows their support of the Governor’s Day to Serve initiative and the fight against hunger in Maryland by donating thousands of pounds of food to the Maryland Food Bank. 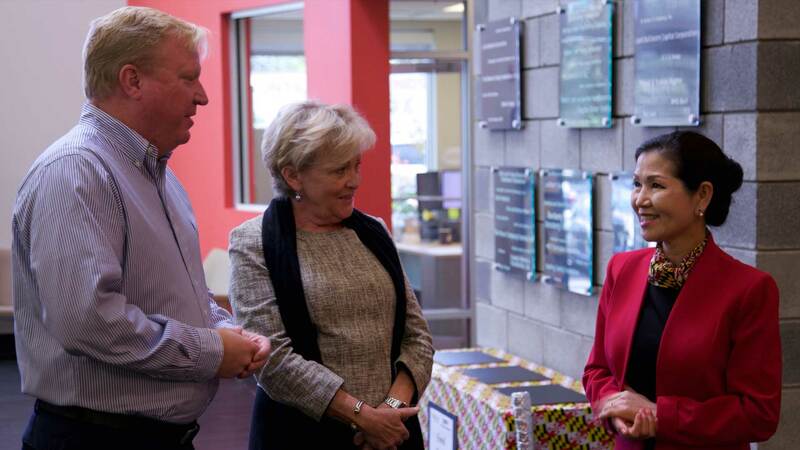 This year, we welcomed the state’s First Lady to celebrate this important partnership. First Lady Yumi Hogan & representatives from the Governor’s office joined representatives from the LDS church community this week, as the church donated nearly 40,000 pounds of high-quality nutritious food. The public and private sector joined together as one to fight hunger, with LDS Church representatives, organizers of the Day to Serve initiative, representatives from the Governors Office, and Maryland Food Bank leadership. For the fifth consecutive year, Brent & Meg Pratt have been advocates for this tremendous effort to curb hunger leading up to the holidays.